Swami Satyananda Saraswati was a yoga teacher and guru in both his native India and the West. He founded the International Yoga Fellowship in 1956 and the Bihar School of Yoga in 1963. He has authored over 80 books, including the well-known Asana Pranayama Mudra Bandha, recognised internationally as one of the most systematic yoga manuals today. Since its first publication by the Bihar School of yoga in 1969 it has been reprinted seventeen times and translated into many languages.Swami Satyananda Saraswati was born 1923 at Almora (Uttaranchal) into a family of farmers. Swami Satyananda began to have spiritual experiences at the age of six, when his awareness spontaneously left the body and he saw himself lying motionless on the floor. Many saints and sadhus blessed him and reassured his parents that he had a very developed awareness. This experience of disembodied awareness continued, which led him to many saints of that time such as Anandamayi Ma. Swami Satyanada also met a tantric bhairavi, Sukhman Giri, who gave him shaktipat and directed him to find a guru in order to stabilize his spiritual experiences. In 1944 at the age of nineteen, Swami Satyananda met his guru Swami Sivananda and came to live at Sivananda Ashram in Rishikesh. In 1947, he took the vow of sanyasin or monastic renunciation and became a swami. He served in different departments at the ashram for over 12 years. He did physical labor, edited the ashram's Hindi journal, wrote various articles and composed poems in both Hindi and Sanskrit. He wrote a translation and commentary in the English language of the Brihadaranyaka Upanishad by Swami Sivananda. Upon leaving the ashram in 1956, he wandered throughout India, Afghanistan, Nepal, Burma and Ceylon for the next 7 years, extending his knowledge of spiritual practices. He eventually found his way to Munger, in the province of Bihar. After establishing himself there, in 1963 he founded the International Yoga Fellowship and the Bihar School of Yoga a year later. He lectured and taught globally for the next twenty years and authored a number of books which remain popular to this day. 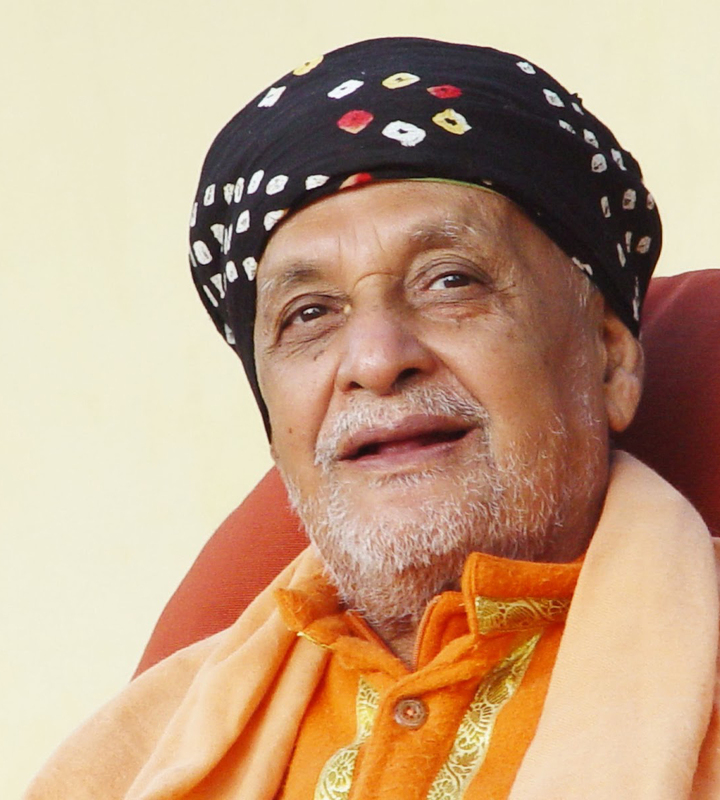 In 1988, he retired from active involvement in teaching and handed active work of his ashram and organization to his senior disciple Swami Niranjanananda. He lived in seclusion as a Paramahamsa Sannyasin. He died at his ashram in Rikhia, Jharkand on 5 December 5 2009.